What a round of footy. 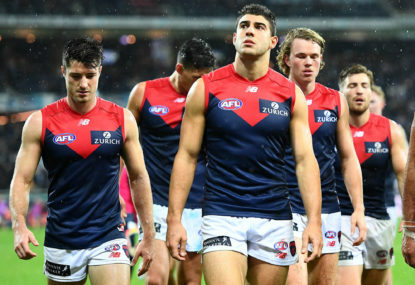 Now that the fourth week of the 2019 AFL season is over, let’s look back on who the better performers of the round were. One of Hawthorn’s best on another disappointing day for the club, their second defeat despite leading in the last quarter in as many weeks. Sicily chopped off many of St Kilda’s forward 50 entries, finishing with 28 disposals and 10 marks. A superb performance in his first game back from suspension. Taking on the dangerous Robbie Gray, Grimes had the courage to leave his man behind in the final quarter to either take a big grab or spoil the ball away. Finished with 17 touches, 13 of them contested which included six rebounds from defensive 50, while he hauled in five contested marks. Seemed to be everywhere in a famous win for the club. After just four AFL games, Wilkie has already cemented a spot in the St Kilda backline thanks to his confidence and composure with ball in hand. 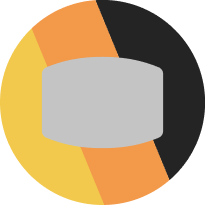 The 22-year-old, who was playing for North Adelaide in the SANFL last season, had his best game in the red, white and black on Sunday against the Hawks, collecting 21 disposals, using it at a deadly 90 per cent efficiency, while he took three marks and laid three tackles. The premiership captain put his stamp on a rather forgettable Western Derby, racking up 32 touches at 84 per cent, while he took eight grabs and laid three tackles. His performance was enough to secure a third Glendinning-Allan Medal. 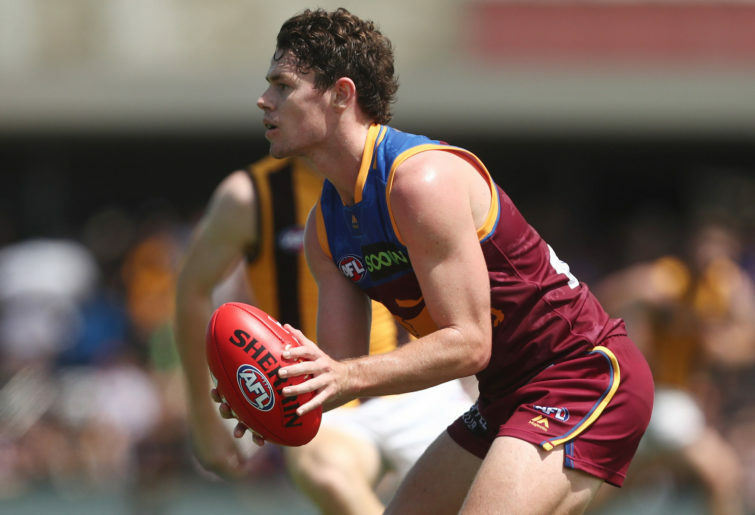 The defender-turned-forward returned back to his roots in his first game of the season on Saturday and excelled, cutting off many of Brisbane’s forward 50 entries. Helped himself to a huge 13 marks, while he amassed 23 possessions at 82 per cent efficiency. One of the most-maligned players in the AFL put in arguably a career-best performance on Saturday night as the Roos notched their first victory of the year. Collected 22 disposals, used it at 95 per cent efficiency, while he hauled in eight grabs playing in a customary defensive role. His effort in the third quarter that saw him break free from a Rory Sloane tackle and don’t-argue Lachie Murphy before delivering the ball on a silver platter to Ben Brown is perhaps the highlight of the North Melbourne season so far. After a poor start to the season that saw him widely criticised, Merrett’s form has slowly been building over the past fortnight before he exploded with one of the best performances of his career on Saturday. 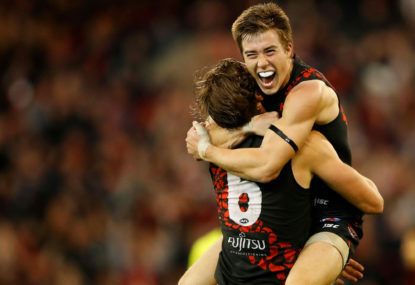 Had 35 touches, 15 of them contested, won seven clearances, used it at a deadly 85 per cent efficiency, took four marks, laid six tackles and booted a goal in a dominant display from the Bombers. Ross controlled proceedings against an undermanned Hawthorn outfit on Sunday, picking up 39 possessions, 13 of those contested, winning six clearances and kicking a goal. 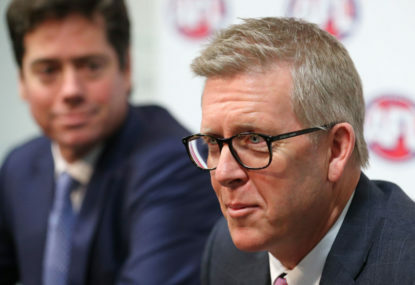 Surprisingly leads the AFL for running bounces, showing that he is picking up the slack left by Jack Steven’s absence. Was pivotal in a monumental win for his footy club on Saturday, collecting 31 disposals at 83 per cent efficiency, taking 10 marks and laying three tackles. Looms as a big Brownlow Medal smokey. The running man was everywhere on Friday night against the Western Bulldogs, picking up 29 touches, taking eight grabs and laying five tackles. Importantly, he was damaging offensively with two majors. Seven days after he managed a seven goal haul from 30 disposals, Cameron was again instrumental in an important win for the Giants. Collected 15 possessions, hauled in eight marks and kicked three goals to maintain his lead in the Coleman Medal. With the loss of Shaun McKernan to a hamstring injury, Brown was given a reprieve in the Essendon forward line following his axing after a Round 2 defeat to the Saints. The former Cat responded in a big way against the previously-unbeaten Brisbane Lions, collecting 25 disposals, taking 11 grabs and booting three goals. The best performance of the weekend has to be reserved for the man they call ‘Walla’. The speedy Bomber was simply too good for the Lions, collecting 20 touches, taking 10 grabs, laying three tackles and helping himself to a career-high seven goal haul in a remarkable display. Arguably the most exciting player in the competition. Amazingly, since moving from the off-Broadway Gold Coast Suns to Tigerland on centre stage, Lynch’s impact at Richmond has been slightly understated so far. 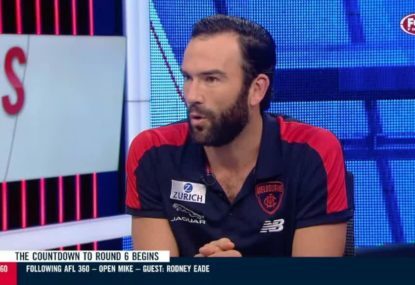 His performance on Saturday against Port Adelaide could not be ignored, however, with the ex-Gold Coast skipper booting six goals in the absence of his partner in crime Jack Riewoldt. Didn’t get much of the ball, but certainly made every touch count. Only one goal off Jeremy Cameron in the Coleman Medal race. Caused headaches for Hawthorn in their meeting late last year with four goals, and once again he was everywhere on Sunday. Had 17 touches, took five marks and booted 3.5. If he was more accurate in front of the big sticks, it could’ve been a monstrous game. Incredibly hard to split Gawn and Brodie Grundy for this position, but have to go with Max given the calibre of opponent he was playing against. 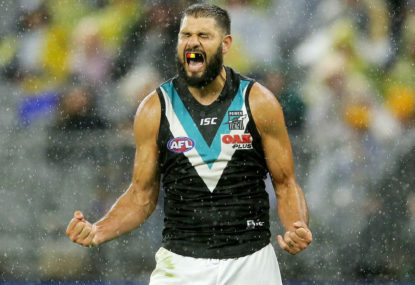 Had 19 possessions, took five marks, won six clearances and helped himself to 55 hitouts, giving his midfield first use and clearly beating Callum Sinclair. 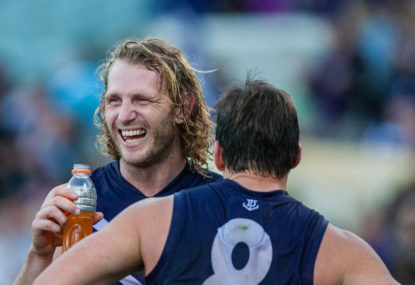 The Fremantle veteran turned back the clock with a monster performance in the Western Derby on Saturday night. Won 10 clearances from his 36 disposals, a whopping 23 of them contested, while he laid four tackles and took four marks. It was the most amount of ball he’s had in nearly three years. For a third-consecutive week, Neale racked up over 40 possessions, albeit in a losing outfit this time. Was far-and-away his side’s best player, winning 22 contested disposals and eight clearances, taking seven marks and laying six tackles. Almost single-handedly dragged his side over the line on Sunday afternoon at Metricon Stadium. The co-captain was huge once again, collecting 30 touches, 19 of them contested, winning eight clearances, taking eight marks, laying 12 tackles and booting two goals, including a major late in the match to put the Blues in front. If anyone from the Blues deserves a win, it is Cripps. The superstar from the Bulldogs was huge on Friday night, winning 36 possessions, 16 of them contested, while laying six tackles. Also had an impact at stoppages with eight clearances. A hard-nosed performance from Miller, who was unlucky not to be named captain of the club on the eve of the season. Was instrumental in close with 14 tackles, while he won six clearances from his 31 disposals. 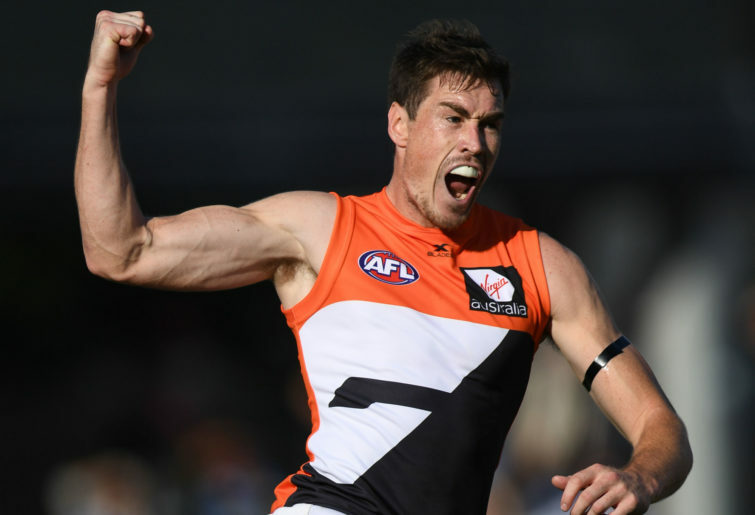 Fresh off a successful job on Richmond champion Dustin Martin, de Boer had his sights on Geelong gun Tim Kelly in the Giants’ match-up with the unbeaten Cats at GMHBA Stadium on Saturday. The ex-Docker was again outstanding in his tagging role, keeping Kelly to a career-low nine disposals, while he racked up 15 possessions of his own along with five tackles. 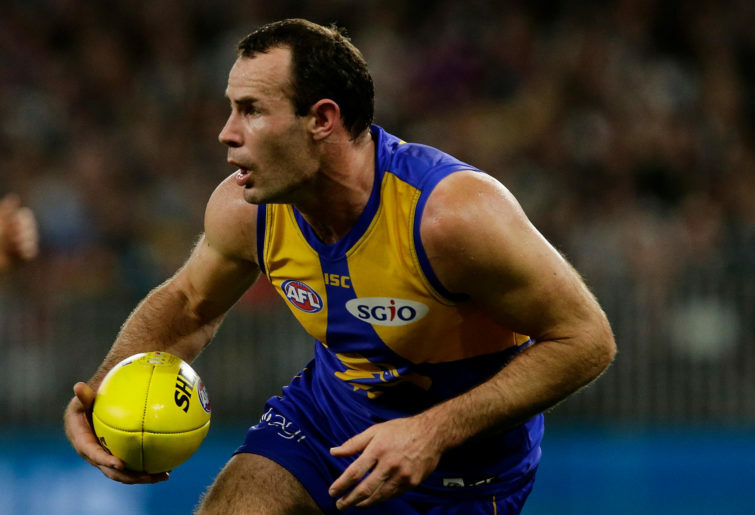 Went at a perfect 100 per cent efficiency from his 27 disposals on Saturday night in the Western Derby. Also hauled in 14 grabs in a terrific performance. Would’ve been a worthy winner of the Glendinning-Allan Medal. Showed no signs of the concussion he suffered last weekend, amassing a whopping 37 touches against Richmond on Saturday. Had 16 contested possessions, won six clearances, took six marks and laid five tackles. His numbers from Friday night against the Bulldogs are frightening. 23 disposals, 18 of them contested, six clearances, four marks, eight tackles and 58 hitouts. Poor Tim English was never a chance. Often criticised by Richmond supporters, Ellis stood tall in a huge win for his club against the Power. Won 28 disposals, used it well at 78 per cent efficiency, took nine grabs and kicked a goal.